Instead, they simply ignore the research—all the while telling anybody who will listen that they have science on their side. In 2011, longtime TNR opponent David Jessup argued that, “based on proximity and sheer numbers, outdoor pet and feral domestic cats may be the most important source of T. gondii oocysts in near-shore marine waters.”  Curiously, Jessup ignored significant evidence to the contrary, including two studies suggesting that the Type X strain of the parasite—only rarely found in domestic cats—was to blame for the majority of California sea otter deaths investigated by researchers (including Jessup himself). 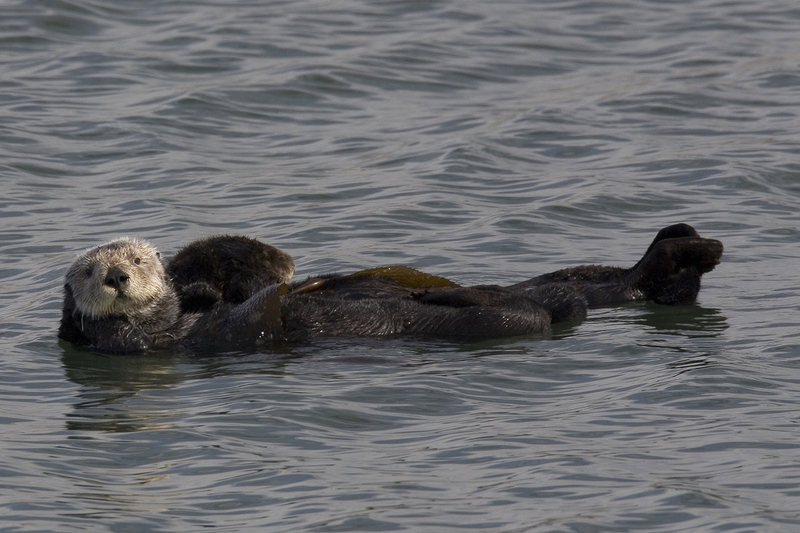 All of which would seem to be big news for the American Bird Conservancy, The Wildlife Society, Peter Marra, and others opposed to TNR in part—they claim—out of concern for the California sea otter. * The same deafening silence was heard in response to news that Hawaiian monk seal numbers are increasing—in the very area where one would presume T. gondii contamination to be the greatest, no less. Jessup, D.A. and M.A. Miller, The Trickle-Down Effect. The Wildlife Professional, 2011. 5(1): p. 62–64. Lafferty, K.D., Sea otter health: Challenging a pet hypothesis. International Journal for Parasitology: Parasites and Wildlife, 2015. 4(3): p. 291–294. Tinker, M.T. and B.B. Hatfield, California Sea Otter (Enhydra lutris nereis) Census Results, Spring 2016, 2016, U.S. Geological Survey Data Series 1018. p. 10. Rogers, P., California sea otter population reaches record high number, in The Mercury News2016. Anti-TNR people have never let the facts get in the way of their argument. They are cat haters, pure and simple and that is why they won’t listen to reason, don’t pay attention to credible evidence that they are wrong and continue to blather their same old disproved and non-scientific “data”. Their agenda is to hate and demand extermination of cats. They don’t even know that most cats can’t catch birds because they don’t know cats. ABC=Assy Bitchy Cathaters. Just out of curiosity, what are the connections between Peter Marra, Mike Cove, the Wildlife Society, the American Bird Conservancy, and PETA? Leslie, I’m unaware of any formal relationships, but have seen the organizations you list issue joint press releases to help promote their common message.